Tank game: Networking is go! I’m glad I’m finally getting into the networking side of things, haven’t really done anything real-time like this before and it’s been a blast. Definitely something I will be focusing on in future titles as well. RTsoft makes things like funeral parlor simulations, how can a mundane tank game fit in? I was sent a couple of Flings – a sort of gamepad for the iPad and by jove, it really works! With no tweaking at all Dink HD controls absolutely great with it. Only problem is selecting dialog and items is a bit sketchy, so I will be creating a “Fling-friendly” update soon. It’s just that good. 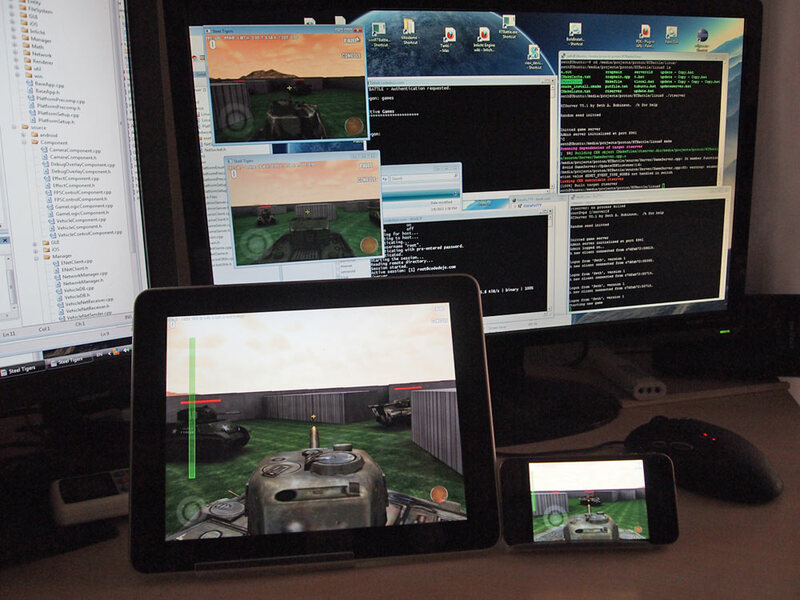 This entry was posted in Development/RTsoft, Dink Smallwood, Proton SDK on March 9, 2011 by Seth.